We returned eastbound on UT-279 to UT-191, where we headed north to the Mill Canyon road. There was a sign about where the map said it would be. We crossed railroad tracks just west of UT-191 and proceeded to a parking area with an information sign. All together, we drove just short of two miles and took two turns to get to the Mill Canyon site parking lot. 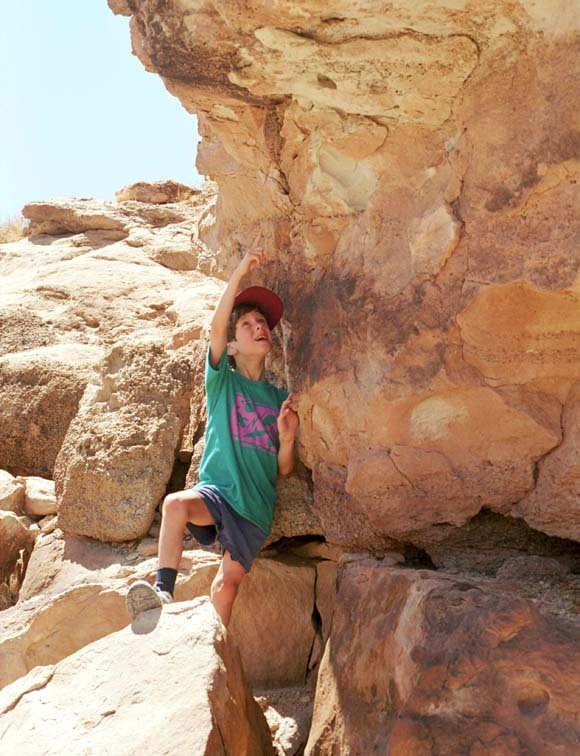 The Mill Canyon Dinosaur Trail sign says, "You, the visitor, are the protector of this valuable resource." 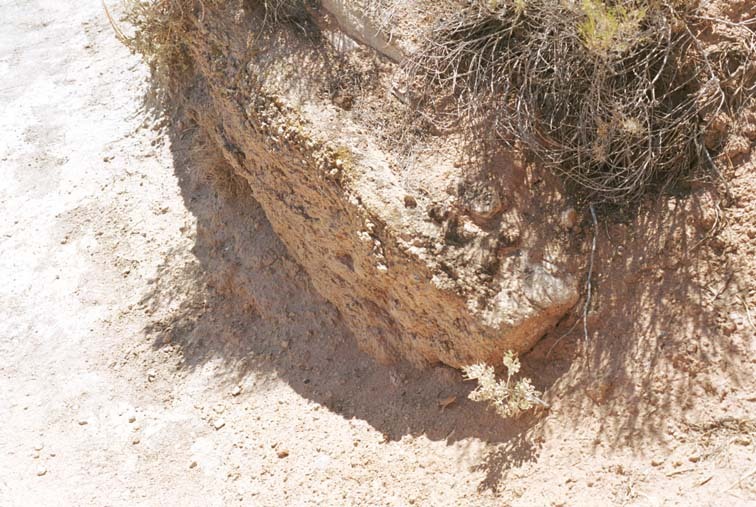 Either we missed them, or some of the fossils described on the trail guide have already been stolen. 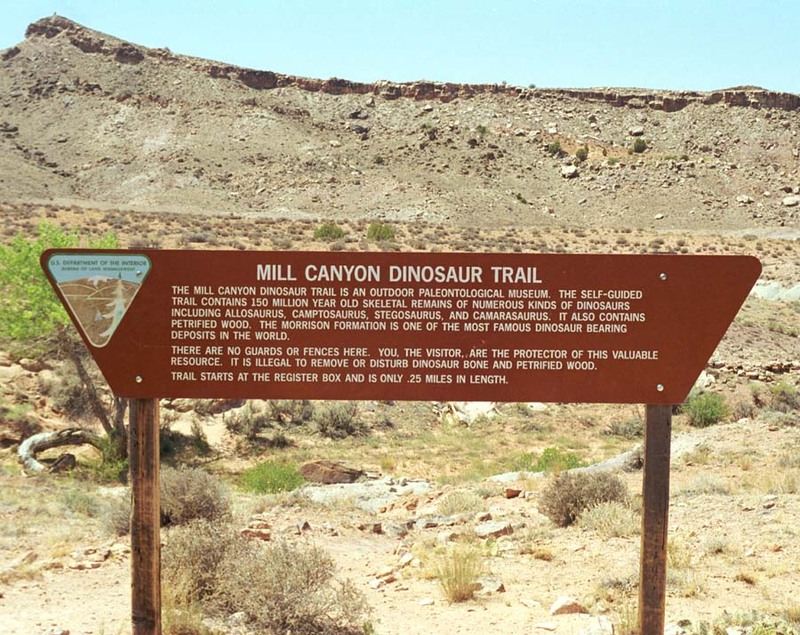 The BLM had a box at the trailhead containing the Mill Canyon: Dinosaur Trail (158 KB) brochure with descriptions and trail guide. The brochure file is in Adobe Acrobat .pdf format and can be printed. The map included shows the trail sites starting to the left of this view. The path leads behind the sign - the lighter gravel underneath going to the right - goes down through a dry creek bed, and then along the other side and up to the left. 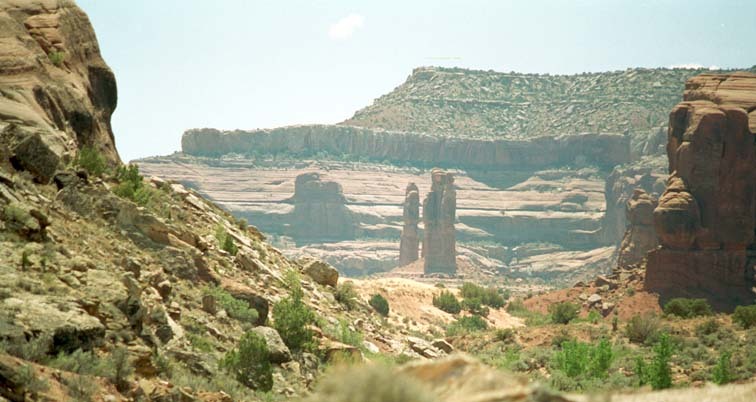 These spires are through the canyon to the south. 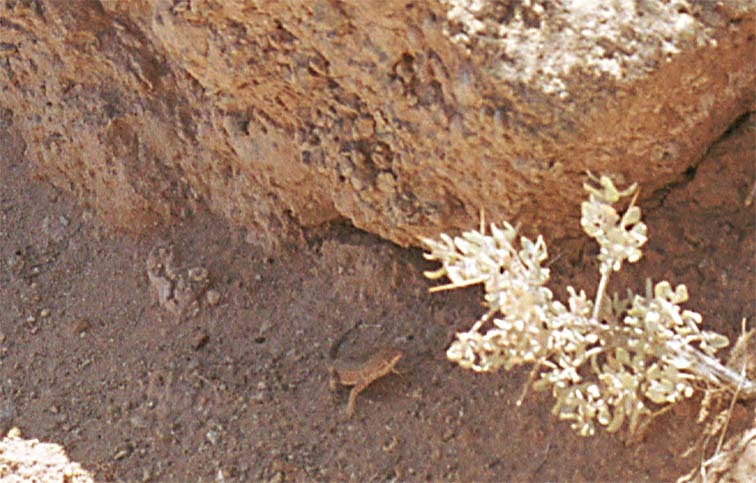 A lizard scurried around this rock. Can you find it? Thomas is pointing out a fossil. 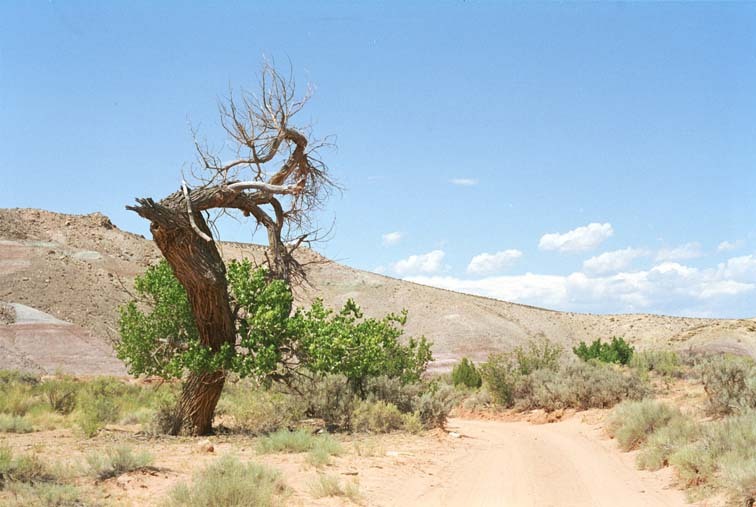 We came upon this tree on the way back to the highway. It's hard to believe there ever was enough water to keep it alive. Yes, this is the road to Mill Canyon. As the trail brochure says, "The road is impassible when wet." You can obtain a free copy of Adobe Acrobat Reader, including a plugin for most browsers, from Adobe.